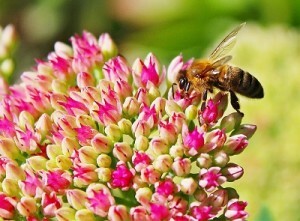 Gardening for Pollinators – April 27 | Warner Companies, Inc. Please join us for Gardening for Honeybees, Monarch Butterflies, and other Precious Pollinators, a special 90-minute workshop with Dr. Patrick Pynes, a lecturer in Environmental Humanities at Northern Arizona University. This event will take place at 1 pm on Saturday, April 27 at Warner’s Nursery and costs $10. Space is limited, so please RSVP by emailing us at [email protected]. Dr. Pynes will describe the life-giving relationships that exist between honeybees and other pollinators, flowering plants, and people – especially gardeners. As high altitude gardeners, we can help pollinators survive and thrive by planting and nurturing annuals (seeds) and perennials, native and not. Patrick will discuss a selected ‘short’ list of the best plants for honeybees and other pollinators for Flagstaff gardeners. A question and answer section will be included, along with a hands-on demonstration of how to plant packets of flowering annuals in rhythm with our annual monsoon season. A longer list of local native and non-native plants especially beneficial for the health and well-being of honeybees will also be included. In addition to his post at NAU, Dr. Pynes is the founder and President of the Northern Arizona Organic Beekeepers Association (NAOBA) and has been working as Head Gardener for La Posada Hotel and Gardens in Winslow for almost two decades.